The quickest, tastiest open sandwich! Going to the cinema this evening so for something quick to eat have put together my healthy sandwich which takes absolutely no time to do and is really delicious! This is for one so double up for two! Toast a slice (or 2) of granary bread, spread with some crunchy peanut butter, and a spread of spiced chutney. 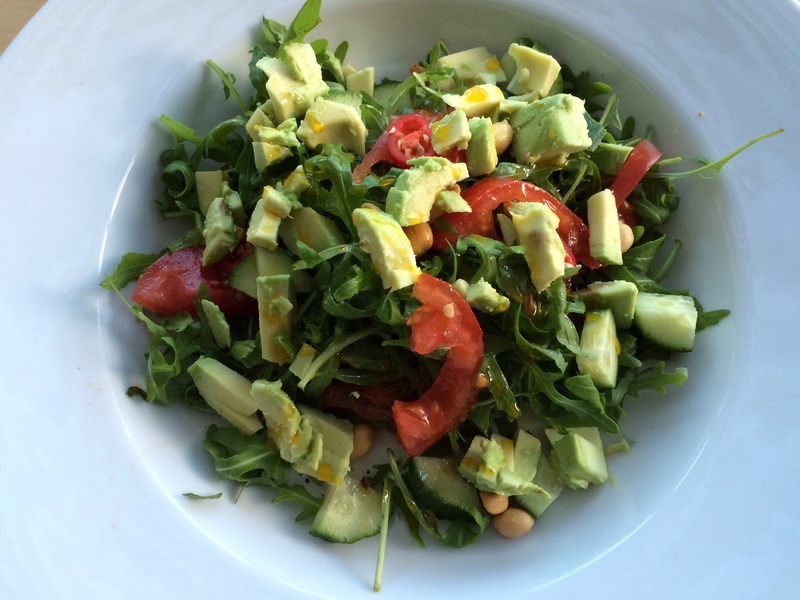 Add your salad of rocket, a few pieces of chunky cucumber, a sliced tomato, and half an avocado. Put a few fine slices of red chill in the mix. 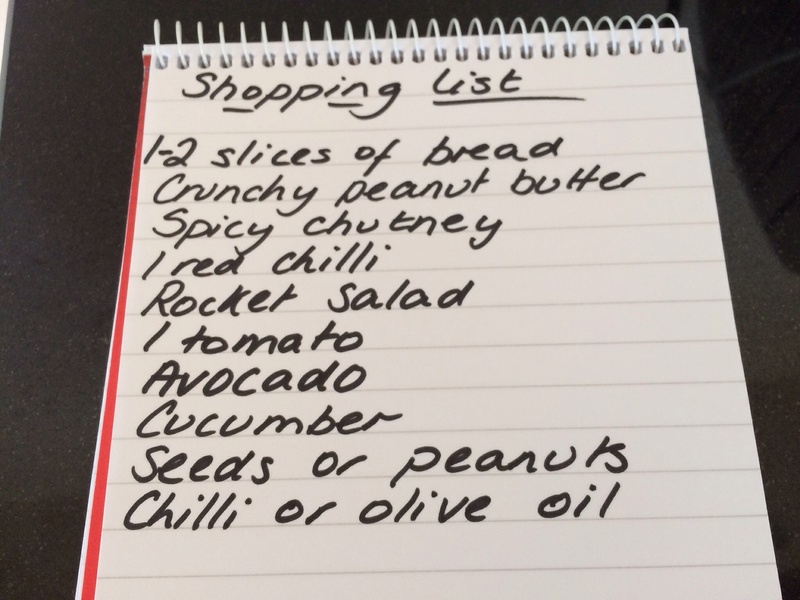 Add a few seeds or peanuts and drizzle with chilli oil or olive oil, a squeeze of lime if you like. It really tastes good. I’ll probably have the other half when I get back!